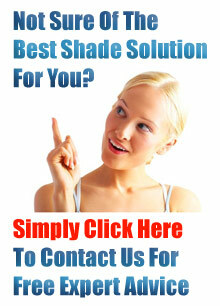 Use Shade Sails Sydney To Design & Instal Your Shade Sale? Our commercial grade shade fabric allows for high air flow creating an exceptionally cool environment, while blocking 95% of harmful UV radiation. All our covers are double stitched, reinforced and guaranteed, available in a wide range of shapes, sizes and colours. Shade Sails are an ideal way of protecting kids from the sun, they offer 96% UV protection and require very little maintenance. We have installed Shade Sails over many swimming pools of all sizes for both domestic & commercial situations. On hot days people like to spend hours in the pool which can have deadly consequences if there is not suitable UV protection. A Shade Sail can create a useful entertaining space which otherwise would be useless without protection from the sun. Alfresco dining becomes a comfortable & pleasurable experience under a quality Shade sail which does not trap the heat yets keeps the sun’s harmful rays at bay. How horrible is it getting into a boiling hot car when the sun has been beating down, burning your hands on the steering wheel and your legs on leather seats. A Shade Sail is the perfect way to keep your car or your customers cars cool.